The Golden LEAF Foundation has the mission of transforming the economy of rural, tobacco-dependent areas of our state. I’ve served Golden LEAF as its president for almost 10 years. During that time, I’ve had the privilege of serving with governors, legislative leaders, and economic developers from both parties. While they disagree on some things, they all wanted – and still want – more job creation and private investment in all areas of our state, especially those rural areas that have not grown as quickly. 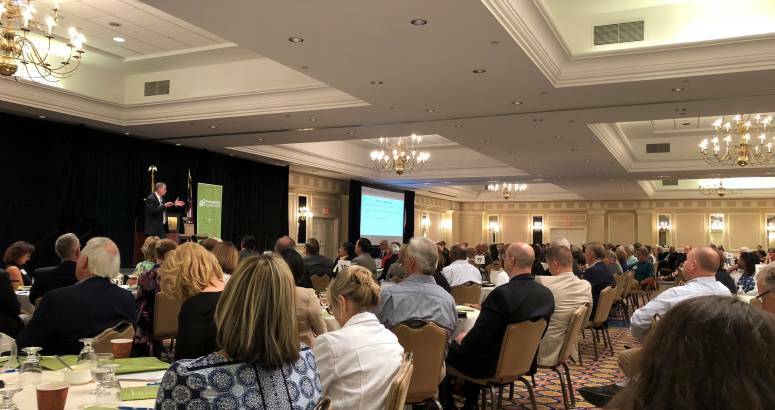 To that end, we were proud to be part of a well-attended event sponsored by the Economic Development Partnership of North Carolina (EDPNC) recently to focus directly on the question of how we can all work together to help rural NC grow. The EDPNC serves many functions, but one role is to help recruit new companies to North Carolina, while also helping existing companies looking to stay or expand. They are, in essence, our sales force. Like me, they’ve heard loud and clear the concern that many economic development projects tend to locate in more prosperous areas, and many of those projects have benefited from economic development incentives. These facts cause angst. 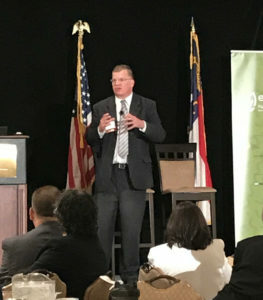 The EDPNC conference focused on five major areas: education, workforce development, leadership, infrastructure and health care. Golden LEAF has supported projects in all of these areas and agrees that these are crucial to long-term economic viability. Yet the endorsement and emphasis by the very organization that is working with companies – big and small – to build their North Carolina presence gives the focus more credibility. Rural leaders were able to hear from experts in these areas, learn about success stories in other rural communities, discuss what they heard with colleagues at their tables, and network with people of similar interest and mission. I’d note that incentives were not one of the five areas. Why not? Frankly, it’s because North Carolina, both as a state and in individual communities, needs to first build the foundation in these five areas before they can consider incentives. Incentives are important in many economic development deals, but you can’t even get to a conversation about incentives unless you have the foundation built. EDPNC held this gathering out of self-interest – to help more communities understand and build the attributes they need so that EDPNC can help sell these communities to the businesses that are exploring their options. Golden LEAF has committed over $175 million in just one of these areas – infrastructure – alone. We pledge to do our part to continue to build this foundation with our partners in these areas. It is often far easier in a rural community to be a passive bystander – and cite urban communities for the lack of opportunities; but it’s crucial that even those most struggling communities must be bold and aggressive, lest we ask EDPNC to sell out of an empty wagon. Look no further than Edgecombe County in eastern NC for an example. The county’s economic developers worked for years to assemble a site for industrial development, to acquire the infrastructure to serve that site, to coordinate numerous parties to cooperate in the venture, and to market it aggressively to industrial customers. Given this visionary approach, the General Assembly had the opportunity to provide the crucial incentives to get a major project over the top. Golden LEAF provided funds for a training center, on top of the support for water and sewer that we had committed before a project even emerged. Should you speak to other funding sources/collaborations at this site to demonstrate partnership with other organizations? Today, crews are hard at work to prepare the land for a global tire manufacturer that will add over $580 million in private investment and hire 800 people making good wages. Boom. The EDPNC gave communities concrete ideas for improving competitiveness. Incentives are a piece of the larger puzzle, but not the entire story. Let’s be focused on working hard in rural NC to build foundations that get these communities to the point where we can even discuss incentives – and find the right tools through partners like EDPNC to get that work done.